Everyone can agree that land touches water and air touches all. Man is directly and indirectly connected to all. Our actions no matter how small and insignificant can have real, large scale impacts on the environment. If we poison our land, it will affect the foods we grow and the animals that live there. If we pollute the waters, fishing and the health of the marine ecosystem will degrade. This is evident, everywhere. It is now time to take ownership of our planet! We must work together to provide a healthy environment for plants, animals and our future generations! Everyone can agree that land touches water and air touches all. All things are connected. Man is directly and indirectly connected to all. Our actions no matter how small and insignificant can have real, large scale impacts on the environment. If we poison our land, it will affect the foods we grow and the animals that live there. If we pollute the waters, fishing and the health of the marine ecosystem will degrade. This is evident, everywhere. It is now time to take ownership and do things that are positive for the environment, its inhabitants and our future generations! ​ This will directly affect what you eat and what is left behind in your body. This goes for the Earth as well. Before Man started affecting the environment, nature and its inhabitants were in balance. Man's footprint has been ever increasing. In turn increasing an effect on the natural order of the environment. It is Man's Responsibility to be good stewards of the environment that has allowed us to flourish. 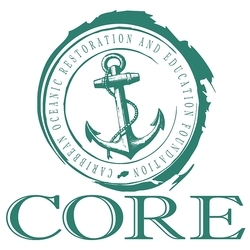 Through Marine Awareness education, Cleanup Awareness and Invasive Species Management, C.O.R.E. helps to improve the environment Our environment's health is a direct relationship with the way we treat it. If we don't do more to protect or replenish our environment, we are in turn affected by lower output and lesser quality of materials and resources. If we try to do more for our environment, we will benefit exponentially. It will provide us with more as well as creating a healthy environment for future generations. The C.O.R.E. Foundation's Caribbean Invasive Lionfish Response Programming has been assisting with USVI Lionfish Management Programs since 2011. Programming has consisted of Public Awareness Education, Training of Response Network, Maintaining a Lionfish Sighting Network and implementing a Lionfish Response Network since 2009. All information is vital to future management and fishing of the invasive lionfish. ﻿Submit your Invasive Lionfish removals, sightings, and areas where NO Lionfish were seen. All submissions are automatically added to the Caribbean Lionfish Response Program database which is open to be shared with other management gro﻿ups and researchers. The reporting system is updated live HERE along with sighting info and chat! Marine Awareness Education is the cornerstone of proper stewardship. It provides interesting, interactive material along with hands on programming. The C.O.R.E. Foundation is dedicated to encouraging stewardship and providing opportunities. 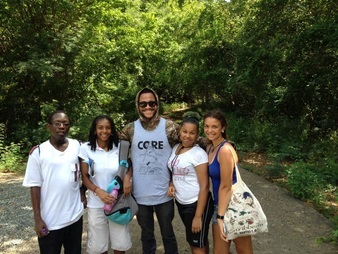 By coupling projects with youth groups, participants are better informed of professional opportunities they can pursue. Submit your data or Call the C.O.R.E. Lionfish Hotline! Top Shots! 2015 (so far) Leaderboard!